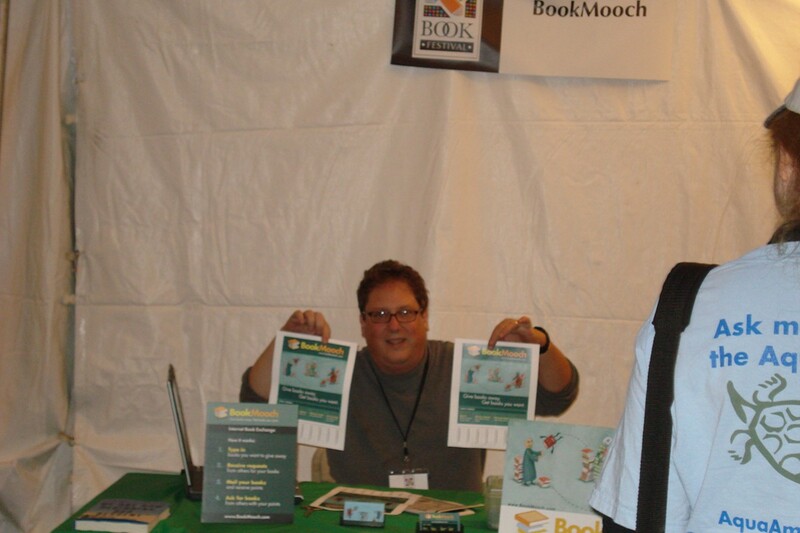 A few weeks ago, BookMooch had a booth at the Baltimore Book Festival. 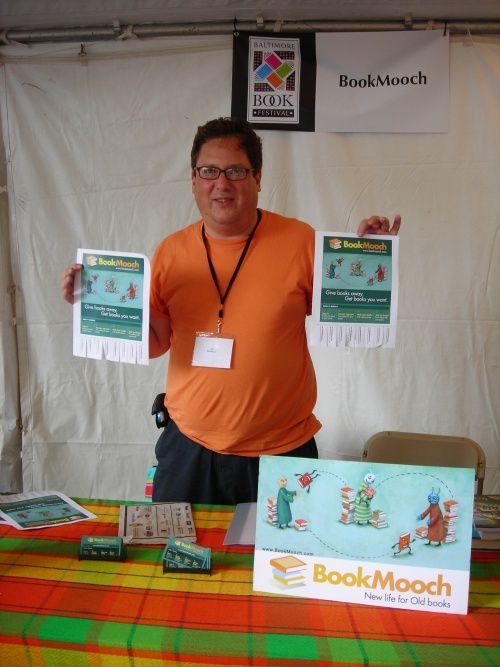 Or rather, BookMooch member Joshua Berlow was at the Baltimore festival, telling all the attendees about the joys of mooching. Thanks Joshua! Send him a smooch to thank him, I did! The first conference was the Nordic Cultural Commons Conference organized by open-law wunderkind Herrko Hietanen. I got to reconnect with the always-inspiring Paul Gerhardt and his Archives for Creativity Project and pontificate leisurely with him about what “Britishness” is, while the conference organizers had us drinking champagne several hundred feet underground in Stockholm, in a former top-secret nuclear reactor lab called “R1“. Victor Stone of CC Mixter was there, and he and his wife provided the ambient audio/video to the nuclear-reactor party. I got reconnect with both founder and also the current head of Pirate Bay, since we were on the same panel together. A few hours drinking mojitos with Rickard, the head of the Swedish Pirate Party. At the first night’s dinner, the quiet unassuming lawyer sitting opposite me turned out to be Till from the GPL Violations project! Also got to spend time with Timo from Star Wreck, who is working on his new film Iron Sky. I might get involved with Star Wreck 2, helping them fight evil in the movie business. This was one of the best conferences I’ve ever attended, perhaps not surprising as one of the other all-time-best conferences was another one in Finland: OpenMind 2006, where I met Herrko, the Star Wreck boys, Vili Lehdonvirta and Andreea Chelaru. Finland creates wonderful things. 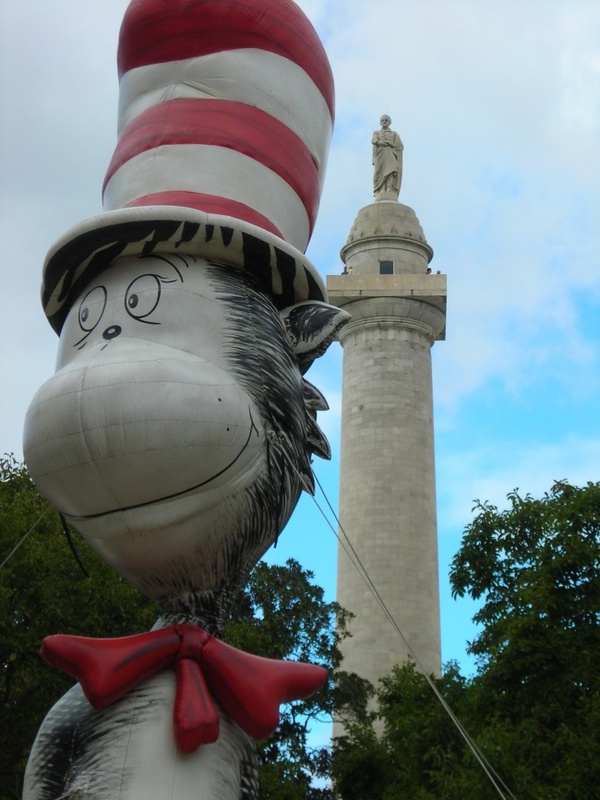 Teresa sent me some notes and photos from the Wordstock Festival last week. Jeff and Sara Coleman helped out at the booth both days and are fantastic folks. Even their darling daughter, Lucy, who is only five year old, was not shy at all and got in the act by handing out flyers! More than a few Moochers stopped by the booth to say hi and pick up cards to hand out. 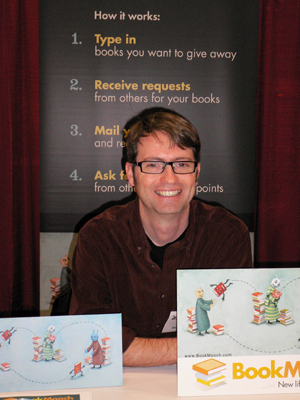 Andrice Arp, the wonderful designer who created the BookMooch artwork, was at the festival too. 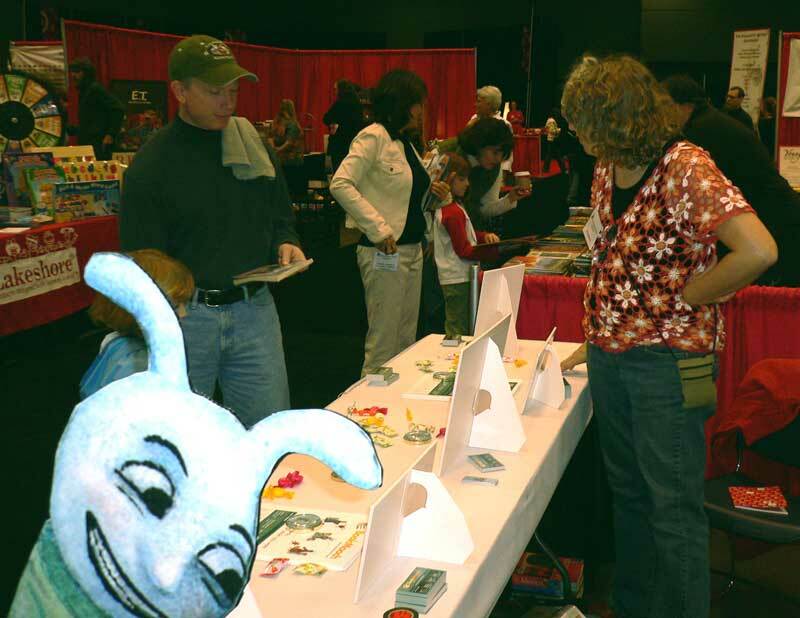 Her boyfriend Jesse Reklaw, who is a well-known comic (Slow Wave) and fine artist, found the BookMooch booth and let us know Andrice was expected later. They flipped over the lifesize Momma & Baby Bookworms. 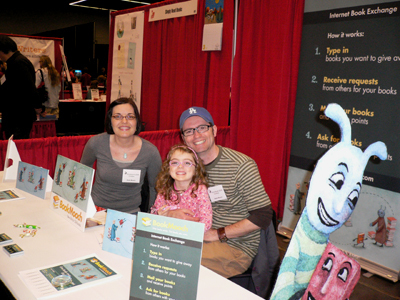 It was a great event and many of those who came by the booth loved the idea of BookMooch & wanted to join. As was explained a number of times, the winter is long in the Pacific Northwest, so books are well loved! 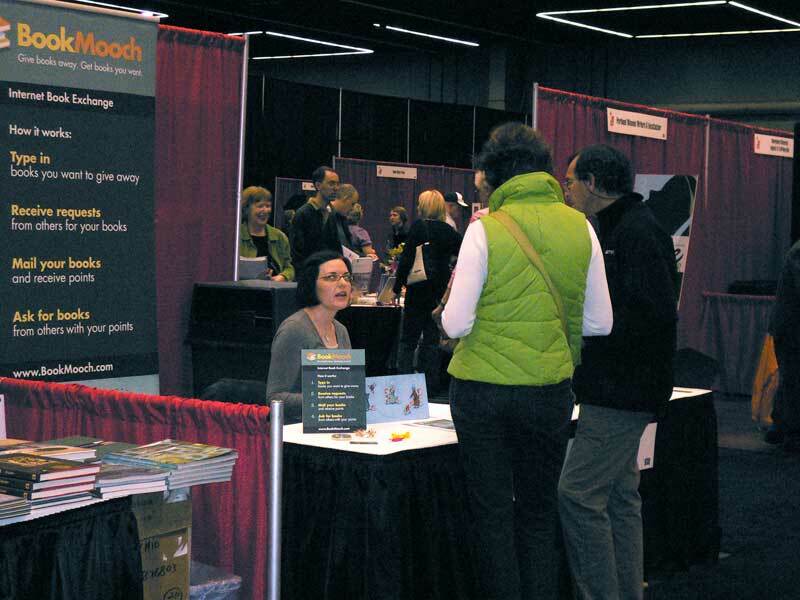 BookMooch will have a stand at the huuuuuge Wordstock festival in Portland, Oregon, and which runs November 8th & 9th. 55,000 people showed up last year! This is part of the MoochStand project run by Teresa Malango. Thanks to Moocher Jeff Coleman for suggesting this. If you’re going, come by and say hello to our booth. Or even better, help out for an hour to give others a break to enjoy the festival. Last week, I put a survey link on the BookMooch member menu. I’ve taken it off BookMooch now, since it ran for a week. My thanks go out to professor Karl Fast for making this happen, and to his students, who are doing all the work. This information is really helpful to me in understanding what people do and don’t like about BookMooch, and where I should focus in the future. – We got completed surveys from more than 50 countries, including Egypt, Finland, New Zealand, Jamaica, Iran, Malaysia, Peru, Sweden, and South Africa. – The 3 open-ended comment questions at the end of the survey generated more than 185 printed pages of feedback. The survey has continued to move along nicely. We have over 2800 responses so far. The 3 open-ended comment questions at the end have generated more than 150 pages, most of it positive. Over 1400 people have volunteered to help us with additional research. The team is moving ahead with the next phase. There are 2 main elements to this. First, we will be interviewing 6-8 people (via skype) who have expressed interest in discussing books on BookMooch (the “talk about books” segment). The team is working on the interview schedule. We will be scheduling these interviews shortly. Second, we will be conducting a diary study with people who cycle through a lot of books (the “out the with old, in with the new” segment). The diary study will involve a short survey (5-10 minutes) that is sent to these people twice a week for 3 weeks. It asks questions about sending books, receiving books, adding books to give away, and searching for books to acquire. It’s the same survey each time, so you get information about their usage over time. We have identified about 20 possible candidates for this from the survey. The diary study is being refined at present. We will be starting both of these in the next week. We aim to have them finished before Thanksgiving. We will also be doing a more detailed exploration of the survey. The class ends in early December. We will present our findings to Johnthen. Not sure about the exact date and how we will do this. But we will definitely be writing a report with our findings and recommendations. We may also try to schedule a group skype call with John so you can talk with the team. So far, this seems to be a roaring success. The survey has given us terrific data. 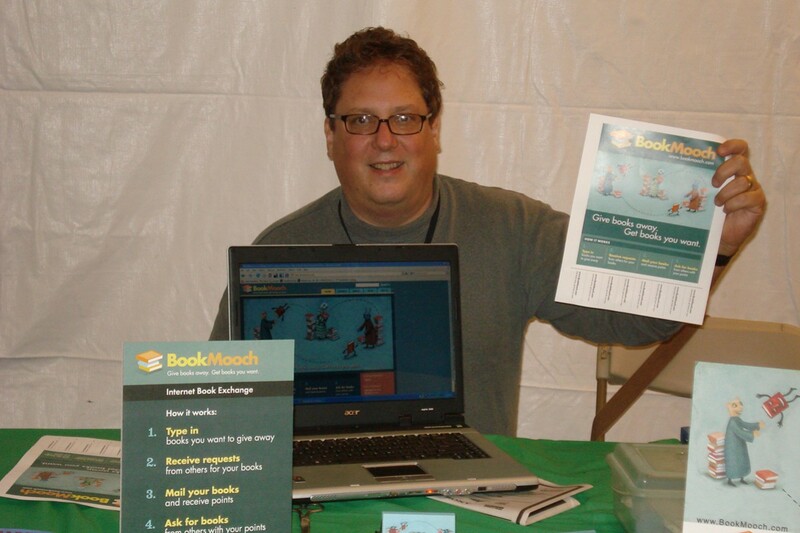 BookMooch users seem to thrilled to provide structured feedback to help the site grow. And my students have been learning a lot. They’re having fun and enjoy the opportunity to work on a real project. getting a book in the mail. it’s just lovely! Nice to feel that your books travel around the world! print. 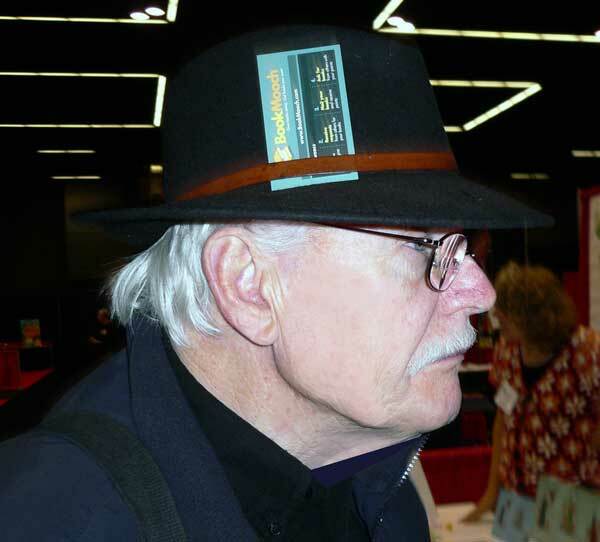 The net cost per book is extermely low. discovering new books, and being able to get them, even when i am low on cash. It keeps snail mail alive. read Completing sets from good authors It’s all good fun!